As summer approaches, so do honeybee swarms. During this time of year, hives that have grown unsustainably large gather up a new queen and split in half, forcing the new hive of honeybees to relocate and move in a cluster of thousands. While this sight may strike fear into people, the bees are, surprisingly, very calm when in these clusters and are unlikely to sting you. Honeybees are often full of honey and resting when in their swarm state, making them much more docile. Also, they usually only remain in this state for a couple hours before flying away. However, for those who worry about themselves or their families getting stung, it never hurts to call someone to, humanely, relocate them. Swarming is a necessary part of honeybees’ survival, preventing large hives from losing greater numbers of an already declining species. It may be tempting to spray swarms with pesticides, but not only does this hurt bee populations, you’re also running the risk of being stung — by a lot of bees. 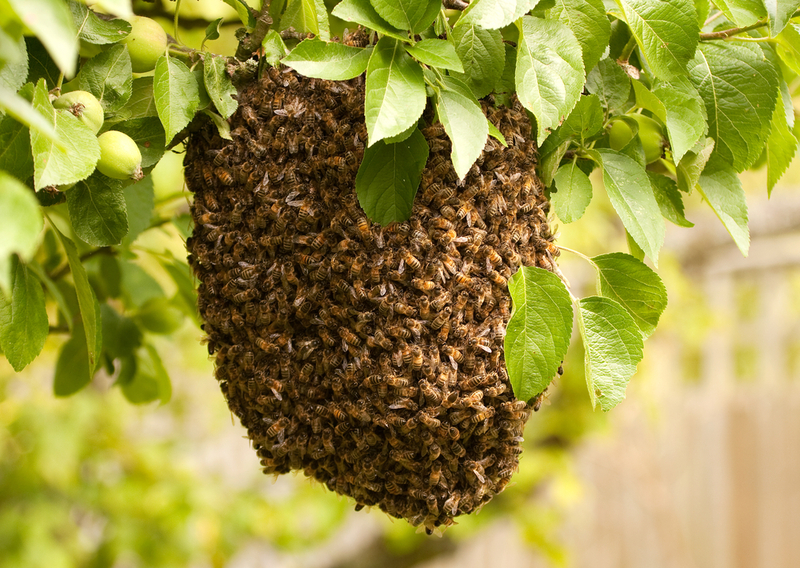 They won’t hurt you if you won’t hurt them, and, again, a swarm usually moves on anywhere between a few hours to a few days. Rather than calling an exterminator, try to contact a local beekeeper. Thanks to colony collapse disorder, honeybees are already disappearing at alarming rates, and preserving as many hives as possible is essential for preserving their species as well as our own survival since we need pollinators for much of the world’s food supply. Beekeepers Get a Leg Up with CrowdfundingTry These Manuka Honey Soy Pork Ribs!